In a city ruled by the diabolical Mayor, it appears that only one thing can save the old botanical garden from being demolished for the construction of an entertainment centre: the Blue Tiger. Now it is up to Johanka and Matyas to protect the tiger from the evil clutches of the Mayor and his henchmen and save the garden. At first, you just wanted to produce the film. What changed your mind to direct it yourself? The decision occurred [to me] gradually. 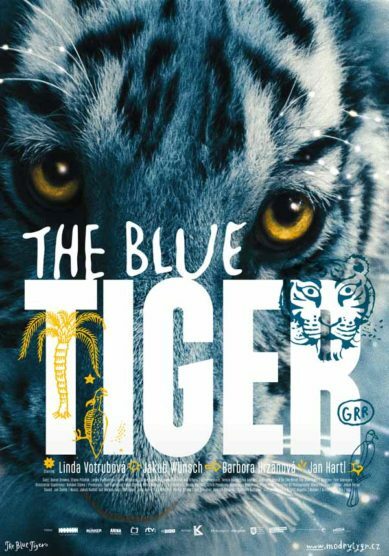 I was looking for a children’s book suitable to be made into film and found Blue Tiger. Then Tereza Horváthová and I co-wrote the script, and Blue Tiger eventually found me. I adopted the characters, story and environment and wanted to make a film that would be adventurous and magical at the same time. I started to look for a director. Tereza and Bohdan Sláma were looking, too, and found me, because they know about my work with children in a theater and knew how much I grew to like the material. Why did you choose Tereza and Juraj Horváth book? 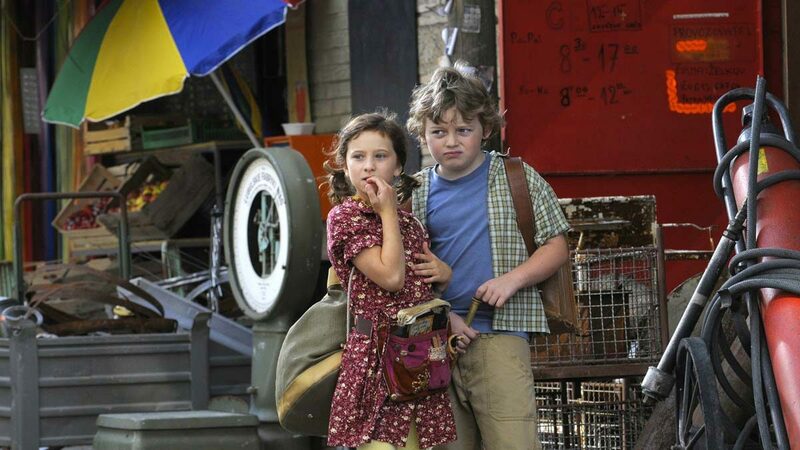 First of all, I had really begun to like the lead character — nine-year-old Johanka. She is honest and funny but also a fighter. And she fantasizes a lot. I had fun sharing her world where everything is possible. The book itself contains beautiful illustrations of such artistic quality that I wanted to see them in the film as well. You worked with animals and children at the same time. Which moment was the hardest? It’s hard when the actors’ world and world of the animals have to meet on the screen. We had to find the right balance between scenes prepared and arranged beforehand and those improvised moments with the tigers. A tiger between his fourth and fifth month experiences his first puberty, and we had to hurry up to shoot all scenes before that breaking point. By the time we were wrapping up the shooting, [the tigers] already had our huge respect. 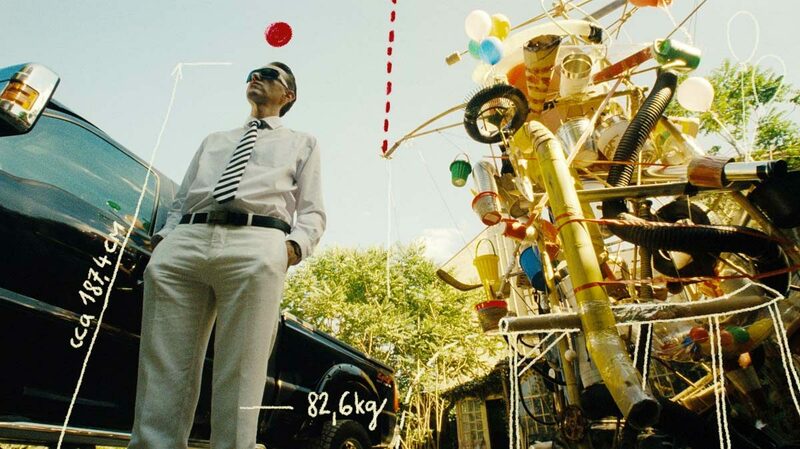 As a producer you are used to overcoming various obstacles in order to get a film made. Did this prepare you for the role of the director? Apart from overcoming obstacles, [I was] expected to make the right professional decisions all the time. I had to be ready all the time since I didn’t have the space we as producers usually give to first-time directors. But it’s important to know how to work in a team, and I was lucky to work with brilliant professionals with whom I found a common vision of film. What are the children going to be most excited about, and what is there for adults? Children mainly perceive the story, adventure, funny animations and thrill from the tiger. Adults can go back to their childhood and relive the joy of being free again. You said you couldn’t find a suitable botanical garden anywhere in the Czech Republic, Slovakia, Hungary or Austria. How did you find the location, and how long did it take to build it from scratch? We soon realized that we need to work at a film set. 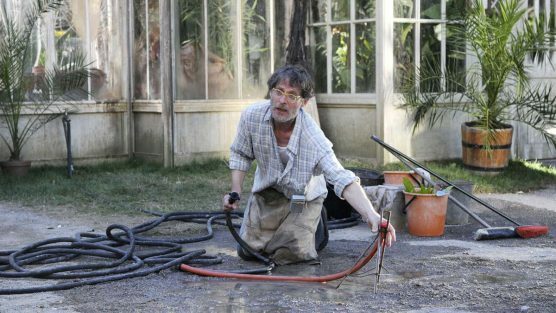 The existing greenhouses are too fragile and limiting for a film shoot. Apart from the greenhouse, we also looked for “our” town, where we could build the world for the story: the officer in the crossroad booth, old shops, cat heads instead of asphalt … One such remaining place is the area around the viaduct in Prague’s Karlín district. As fate would have it, we found a plot there just before its construction. We built our garden there in two months and spent two more months shooting there. We have been hearing lots of opinions on how children spend more and more time on their computers playing games instead of reading books and that affects their imagination. Do you think it’s true? That [trend] is not good especially because no other visual art — not even film or video games — replace reading; it’s the only way to learn to use our own fantasy and begin to form our own opinions about the world around us. Sure, you can live without it, but it’s a real pity and voluntary handicap [the children] choose to live with. The blue tiger is the product of little Johanka’s imagination. It comes to her aid, but it does not approach her immediately and directly. First, as it draws nearer, it has an effect on its surroundings. 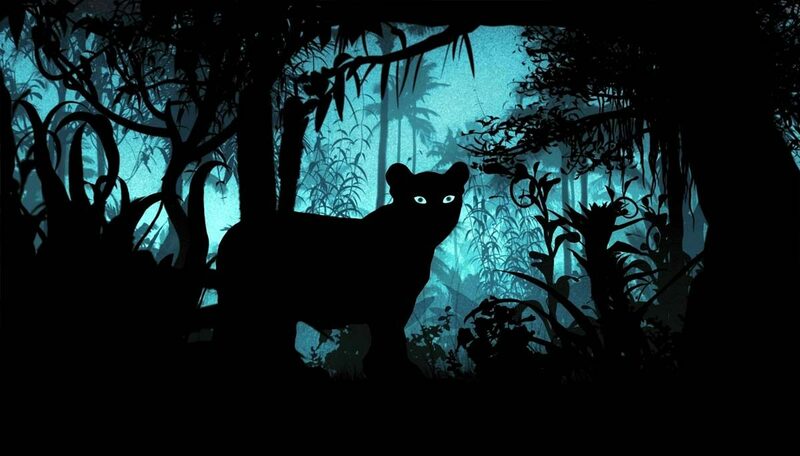 For the townspeople, the blue tiger is a mystery, a threat, and a source of excitement. There is a significant analogy between Johanka’s “otherness” and the “otherness” of the tiger, which is not only blue, but has also entered an environment where it apparently does not belong. The first half of the film contains only hints at the presence of the tiger (moving shadows and animated passages) and it is not clear how large or threatening he may in fact be. Room is left to children’s imaginativeness; suspense builds up. The moment the wounded tiger appears in the greenhouse and Johanka and Matyas start taking care of it, child viewers are relieved to see that the blue tiger has turned out to be a little tiger cub. They start fearing for the tiger and want it to get well. 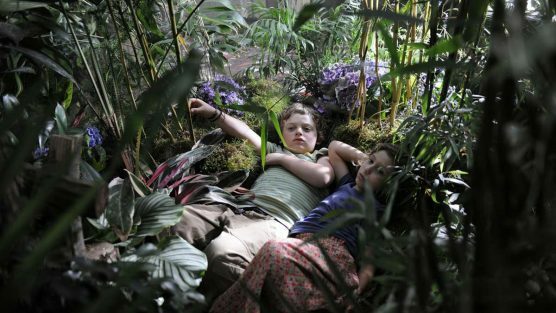 The greater their joy and relief when the tiger performs a single, yet wonderful and real miracle – changing the old botanical greenhouse into a breathtaking jungle, a garden of paradise where both the tiger and the child protagonists are happy! The transformation is magnificent and exulting; unfortunately, it is not permanent. That’s the way it is in the real world, too. Together with little Johanka we unavoidably arrive at the knowledge that a botanical garden (paradise) is not forever; but that need not matter, because she can carry her own personal paradise along with her wherever she goes. It becomes a part of our personality and individual freedom. It is not dependent on a certain place, but on our hearts, on having good friends like Matyas, on being happy about the renewed trust between the mother and Mr Flower, and on any other source of joy we may find in an otherwise unfavourable environment. In the eyes of the child viewer, Johanka is the clear winner in this struggle between “Mephistopheles” (Mayor Ryp) and herself, the heroine of our story.